Available in a wide range of themes and flavours to suit. 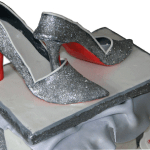 Beautiful Louboutin Shoes together with a bling and glitz shoebos. This is a cake for either a birthday, novelty or other celebration. Louboutin Shoes. Made from our delicious home baked vanilla recipe, this cake was baked for someone with a nut allergy. 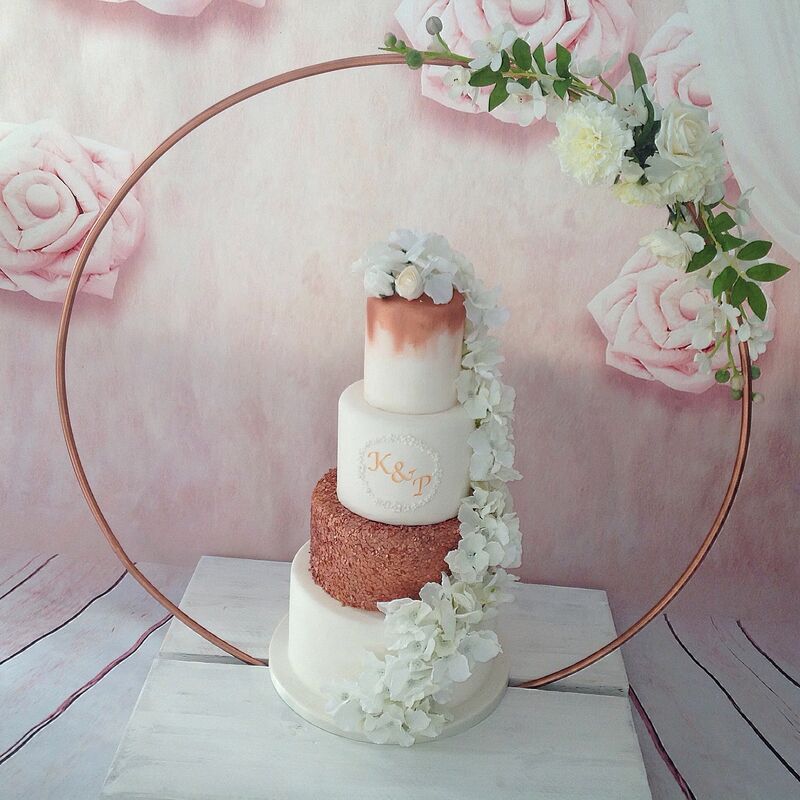 A gorgeous vanilla sponge with strawberry butter cream filling. This cake is also available in all our other flavours and most allergen types. 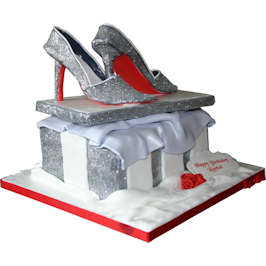 The cake is made and then carved and stacked to give the size of a shoe box. 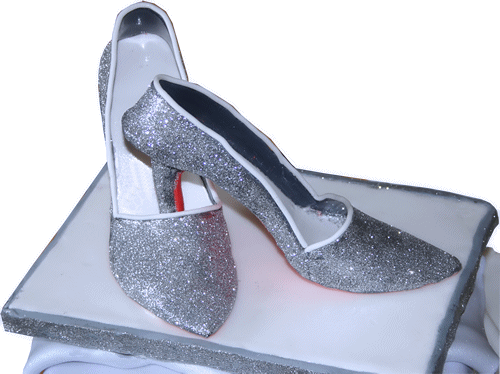 It is then iced and decorated with white fondant and silver sparkle. 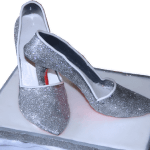 Between the shoe box and the lid we have placed a silk effect cloth also made from fondant. 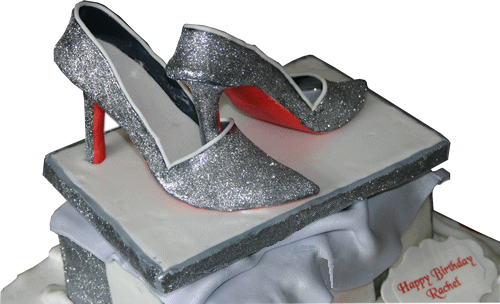 The Louboutin Shoes are all made and decorated by hand out of flower paste and are ideal to keep as a keepsake. 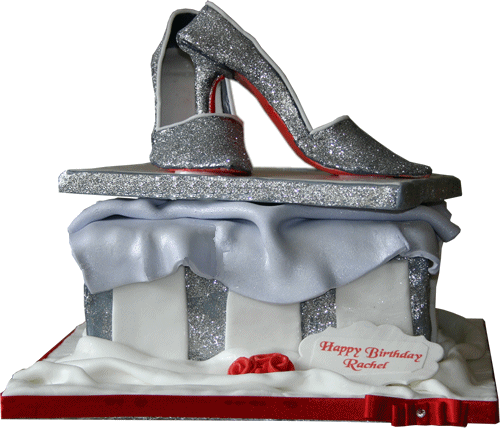 The whole novelty / birthday cake is placed on an iced board which is also given a silk sheet effect look. 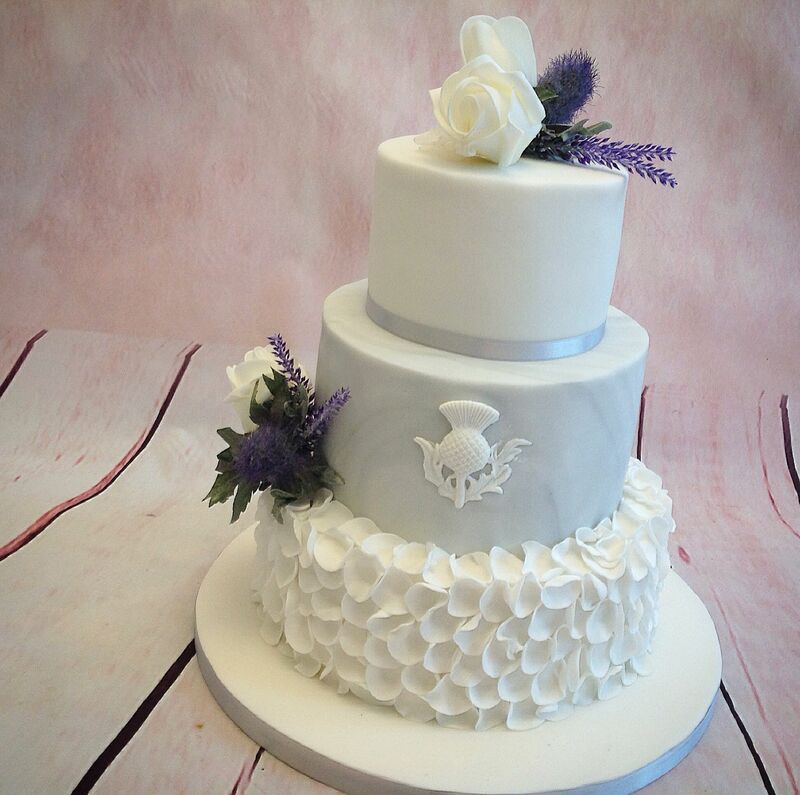 It is then decorated with some hand made iced roses. 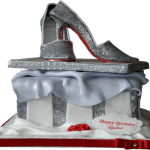 This particular cake was made up of three sponges to serve 50 – 75 people and is also available in all other sizes. Delivery is free to our local areas, and we will deliver to anywhere else in the UK for a nominal delivery charge. Do you have a fashion that you follow? Would you like it replicating into a cake. 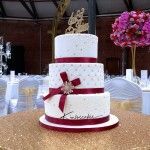 Stun your friends and relatives, with a beautiful bespoke design cake. Whatever your style of fashion, we will work with you to give you the desired effect.